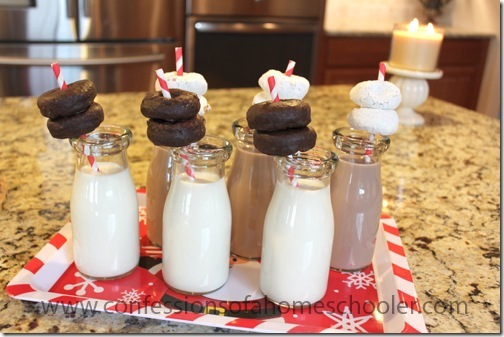 Yes, you heard me, milk and…um…donuts. 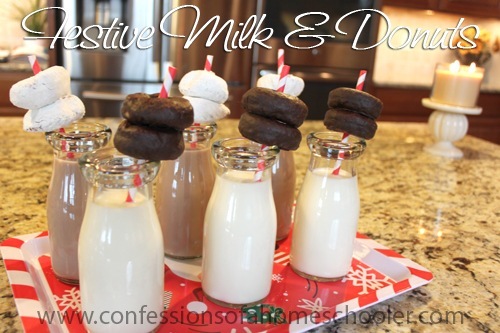 What’s better than milk and cookies you ask? Oh dear, when I saw these sweet little glass milk jars I just couldn’t resist. I knew I had to make up a festive little snack just so I could use them! So here we go with another fun and easy holiday treat. Pour milk into your glass, and add a straw. 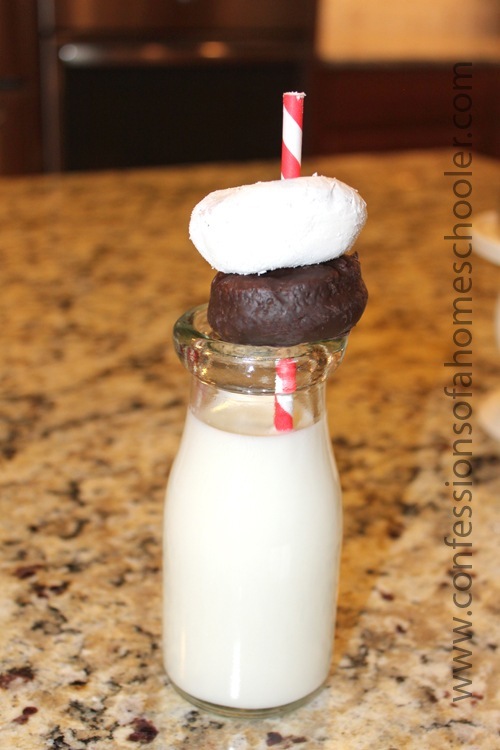 Carefully top the straw with your choice of mini-donut and serve! 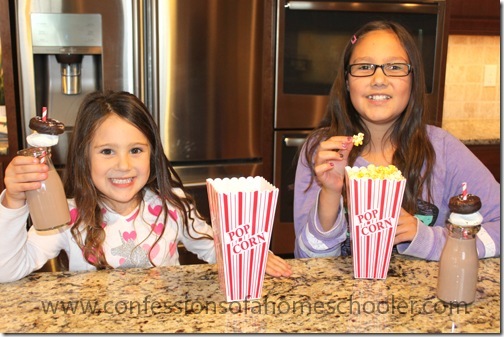 A few people opted for popcorn instead of donuts which was fine too! Honestly I don’t know if there’s an easier snack out there that can be this cute! 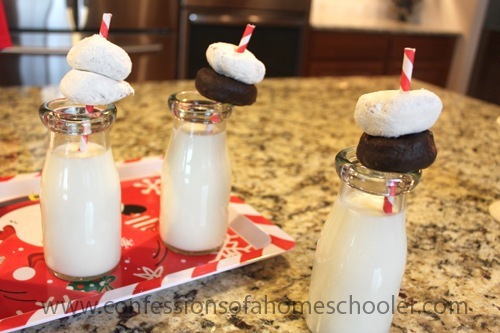 And if you’re really hooked on the whole milk and cookie concept, those little Keebler Fudge Stripes would probably be super cute too! Hope you enjoy this simple little treat, and happy holidays! Lids would be great, mine didn’t come with them.